Harry Potter turned 20 last week and of course the internet was rife with Potter mania. Everyone seemed to be reminiscing, quizzing themselves on HP trivia and sorting themselves into houses. Now I’ve always thought I was a Ravenclaw. In the least big-headed way possible, I’ve always been ‘clever’ (you can read that as nerdy) and when looking at the other house traits I thought Ravenclaw was always the best fit. But when I decided to log into Pottermore for the first time and sort myself properly, I got a bit of a surprise. 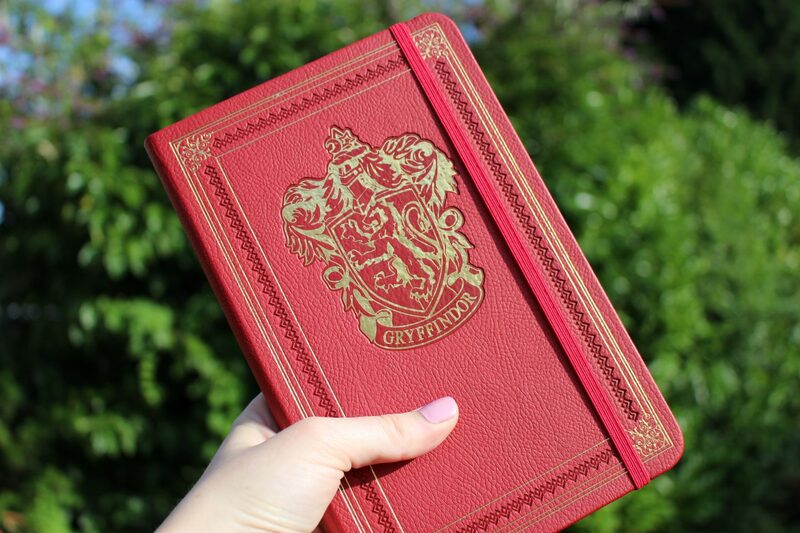 Now it might have been coincidence, but I think there was a bloomin’ good reason that I discovered that I was actually a Gryffindor in the week that I had a massive breakthrough with my mental health. Last week was the week I got on a tube without having a panic attack. For those of you that know my story, you’ll know this is a pretty big deal. I’ve been suffering with anxiety triggered by cleithrophobia for many years now. It’s a pretty debilitating condition that can spring up randomly and hold you back in so many situations. For me it mainly stopped me getting on public transport, which is a pretty annoying thing to have to contend with when you live and work in London. But it also stops me getting into lifts, being in large crowds and doing certain activities that most people find fun, like riding rollercoasters for example. In fact, at the worst of times I couldn’t even sit in the middle of a row in the theatre without freaking out. Disaster! So you can imagine that when I took the metropolitan line from Liverpool Street to Aldgate and back again last Thursday I was pretty shocked with myself to say the least. I was nervous yes, but I didn’t go into a panic. I didn’t enter that negative, never-ending roundabout of bad thoughts. I didn’t expect the worst or tell myself the worst WILL happen. I was positive. I was brave. Bravery is not a word I have ever associated with myself. Even from a young age I’ve been a complete chicken. If someone said I was a Gryffindor, I would have laughed and likened myself to Neville in his early years! I’m not very adventurous as a person and my anxiety condition has only played on that side of me in recent years. Things that I was always just a bit ‘scared of’ suddenly became serious phobias, and that soon turned into severe anxiety. Recently I’ve been working on something to tackle my anxiety head on. It’s all very exciting and pretty HUGE to say the least, but… I can’t divulge any information just yet. I know, I know, how boring, but I promise this isn’t one of those annoying cliffhangers to make you come back and read my blog again – I just can’t talk about it publicly yet. You’ll see why, but you will probably know all before the year is out. But what I will say is that it has changed something fundamental in the way I view my mental health condition. I now believe in myself that I can overcome this. For someone like me, who has battled anxiety and her inner demons for a long long time, this has always been a difficult thing to imagine. I felt for years that I was resigned to this life; driving everywhere, paying above the odds to park and forever missing out on things because I ‘just couldn’t hack it’. I thought that I would have to accept it as normality and just get on with it. But that’s changed now. I’ve been shown that I can get through this. It’s been tough and it’s still gonna take a lot of time and perseverance but just being able to see and imagine that ‘end goal’ as a more tangible and achievable thing is fantastic. And maybe getting the news of my true Hogwarts colours last week might have just given me the little boost I needed to step on that train. But you don’t need to be in Gryffindor to know that you can be brave. Anyone can be brave when you have the right attitude and the right support. You can reach that position. If you’re reading this and thinking that there’s no chance of change, whatever your demon is, then challenge that thought immediately and realise there is a light at the end of that dark tunnel! You’ll find out more about how I got to this point soon I promise you. I’m really hoping it can help more people but different things work for different people. So keep that faith, stay positive and open-minded, and believe that you can achieve!